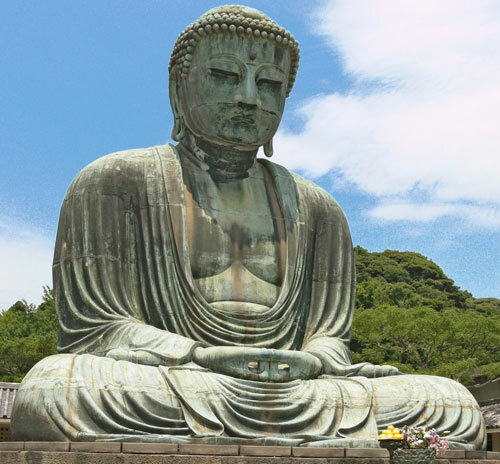 Daibutsu – The Great Buddha of Kamakura from kedarvideo on Vimeo. Help him in all possible ways. You will enjoy peace, poise and serenity. Sister Madonna talks about her life as a nun, active in the world. Most tourists arrive in Kolkata clutching the latest guidebook to India as if it were a lifeline tossed in a stormy and troubled sea. The 2007 edition from Lonely Planet, to take one popular example, is reassuringly crammed with well-researched facts on all the practical aspects of travelling in the sub-continent. The section on Kolkata prescribes exactly what to do, where to stay according to your budget, places to eat – and how to exit the city rapidly once you have exhausted the slender range of options that are listed. In practice, I found that this tome is, without doubt, a compendium of vital information should you happen to be a ‘casual’ traveller, someone who is just passing through the city on the way to, say, Darjeeling or Varanasi, someone who wants to skim the surface and cross Kolkata off the list of 100 places you hoped to see before you die. 25th January 2008: It has been raining heavily all night – a solid, drenching rain with no intermission. Nor did it arrive with thunder and lightning. It just came; to deluge the alleyways and the little stalls of the street vendors, to wash the dust from buildings and rickshaws, to cleanse the air and give the parched city a taste of winter. I emerge to find that everyone has pulled out their humble assortment of vests, scarves, socks and black umbrellas. Our hotel guard is wearing a thick woollen khaki uniform that looks as if it may have done service in the British army long ago. After greeting my new acquaintances – the old man who sells the English newspapers and charges four times the newsstand price, the manager of the internet shop who has taken pity on my inept skills, the moneychanger who waves enthusiastically from behind his counter when the dollar climbs up a fraction, the young cook who makes perfect lemon pancakes and milk coffee on a tiny, antiquated stove – I reflect on the day’s itinerary. As if by design, my Lonely Planet Guidebook falls open at the map showing destinations to the north of the Maidan and my eyes light on two words: Tagore’s house. It is, without doubt, the perfect day to go to the house of the Poet. It is here that Bengal’s greatest poet was born, here that he spent half his life and here that he breathed his last. I have come to pay tribute to the beginning of his life and its ending, after eighty sublime years on this earth. When Rabindranath came into the world, on May 7th, 1861, he was the ninth son of the illustrious Maharshi Debendranath Tagore, the eldest son of Prince Dwarkanath. The Tagore family had firmly established itself in the vanguard of Bengal’s cultural and literary renaissance. Both the men and women of the household were progressive and forward thinking. They were involved in diverse pursuits. In an age where women were largely confined to the andar mahal, the inner family quarters, the women of the Tagore house rode horses on the Maidan, wrote poetry, composed songs and participated fully in the lively political, religious, philosophical and literary discussions. The main building of Jorasanko Thakur Bari is now a museum. It is so revered by the Bengalis that visitors leave their shoes downstairs near the ticket office. It seemed I was the only visitor on this rainy morning. I climbed the stairs in bare feet and gained the second floor. As soon as I stepped onto the wide verandah overlooking the lawn, I was transported to another world, a world of indescribable enchantment and mystery. Here a little boy had hid for hours on end in an old palki abandoned in the corner, or stood at the railings, gazing dreamily at the scene below, inhaling the scent of almond blossoms, listening to the rousing song of the curd-seller, counting the hackney carriages that passed in the lane. I could almost make out, through the sheets of rain, the black umbrella and hazy form of Rabindranath’s tutor picking his way through the puddles to reach the main building. And as I looked through Rabindranath’s eyes at a Bengal of long ago, I realised that the young poet was shaped as much by the things he observed outside – the sights and sounds that flooded his senses, the seasons that came and went – as by the life within its walls of the grand Thakur Bari. The experiences of Rabindranath’s childhood, where he was always “athirst for the far-away”, were to become a constant theme in his adult life. It is the Poet’s inner cry that awakened his creative impulse. His life was defined by his quest for union with the Lord of Life, Jiban Debata, who dwelt at times inside the inmost recesses of his heart and at other times inside the loveliness of the created world. From Delight we came into existence. In Delight we grow. At the end of our journey’s close, into Delight we retire. Perhaps here was the meaning of my visit to the place where the Poet came into existence and also retired from the earthly scene. Tearing myself away from the verandah and all its suggestive mysteries, I entered the cool recesses of the family dining room, with its low black tables and backless chairs on which one might comfortably sit cross-legged. I could not escape the sensation that I was interrupting some lively family debate. I then passed through to the two living rooms, where some of Tagore’s robes are displayed in an almirah. Here and there it was possible to discern that the thin fabric had been heart-breakingly mended by hand. Had the Poet worn these robes on his European travels when his striking physical appearance, as much as his poems and songs, had such a profound effect on those who came into contact with him- Who can forget the description given by the distinguished editor Ernest Rhys of the day in 1912 when there was a knock at the door of his house in London- In the words of Rhys: “When I went into the hall as the maid opened the door, there paused on the threshold, a tall, grey-bearded figure attired in a close grey robe that fell to his feet. For a moment I was abashed. It was as if the prophet Isaiah had come to one’s door.- Satyajit Ray as a young student at Santiniketan was too awed by the university’s founder to approach him, referring to -Tagore’s prophetic appearance.- Yet only a glass door now separated me from the hem of the Poet’s garment. The next room was the sanctum sanctorum in which Tagore cast off his mortal frame. The folding screen doors along the length of both sides of the room were open so that one could enter or exit from the wide verandahs freely. Tagore’s sickbed has been replaced by a simple shrine. But the tangible peace inside the room and the subtle radiance that seems to infuse its very air gave me the feeling that he was still lying there in his final days, gazing out upon the rain clouds lowering in the sky and taking his long farewell from this world that he loved so much. “And because I have loved life, I will love death as well,” he said serenely. It was this prayer-song that I kept hearing inwardly, sung by Sri Chinmoy with that inexpressible longing for the Infinite which is shared by these towering Bengali souls, as I walked slowly up and down the verandas, drifting in and out of rooms at will, while curtains of rain fell to earth in the limitless Outside. I came across this video of Shimshai and enjoyed the music.